I was sitting on the front steps of a building listed for sale, with my real estate agent, when it happened: I used my kids’ happiness and well-being as a justification for a decision I was making. The agent and I were discussing the community where I currently reside with my family. She asked me why my girlfriend, Katie, and I wouldn’t consider moving our family to another neighborhood, less than a mile away, where the local school was, in her opinion, as good, if not better than the one our daughter currently attends, as it would open up additional housing options for us. I answered her question with reasons that included the proposed school does not have equally high test scores, the suggested neighborhood is too hoity-toity and unfriendly, and we don’t want to start over in a new place and circle of people. And there you have it. I was using my kids’ security as an umbrella motive for the choice to stay in our ‘hood. I’ve done it before and I’ve definitely heard other people do it. This parenting trend of using our children’s happiness as just cause for action was brought to my attention a few years ago, when Katie and I were considering another major life change, moving back to Chicago from Dallas. At the time, my parents thought we were crazy for considering a move away from the shiny, happy north Dallas suburban neighborhood where we resided, back to the gloomy, dirty, city streets of Chicago. Our last home in Chicago, where we had lived as a young couple with a new baby, faced the back end of a commercial building which housed a discount store that discarded irregulars every night out of their back door into the dumpster. Homeless people would wait for the discards every evening and carry them off, in some cases even wheeling the whole dumpster down the street, while drug users would huddle around the abandoned lot next door to get their fix without too much observation. Conversely, in Texas, eight pristine 2-story stone homes with perfectly manicured yards, neatly concealed garage doors, and well-groomed families, separated my sister’s home from ours, which overlooked a green space attached to the newly built elementary school. Our collective children were not only close in age, but the best of friends. He was right. As parents, we use often use our kids’ best interest as a rationalization for our actions. Since when did it become socially acceptable to hide our own adult intentions and reasoning under the veil of “I’m doing it for my kids”? For the life of me, I don’t know why we feel the need to tug at the heartstrings of folks by throwing the kids in there! While I can’t speak for all, I can only surmise that, like me, most of us are just weary of standing up for our own convictions and choices at times, as we don’t always have the capacity to field through the oppositions, so we throw in the kids’ well-being as an across-the-board explanation. While most times others’ opinions don’t even register one iota on my radar, occasionally I find myself trying to keep things copasetic, and customizing my talking points to the audience in front of me. I don’t question my own decisions, as much as I try to soften the blow to those I know will disagree with my choices. While it shouldn’t matter what anyone thinks of my decisions, so long as it makes sense to me and my family, the reality of the situation is that every now and then I falter, not wanting to rock the boat, especially if it’s a family member, whose opinion in fact matters to me. In the conversation with my dad about moving from Texas, it took a while for me to recognize my faulty justification process, but once I got the connection, I came back to him with authority and stance. The real deal is that I didn’t want to be tempted, as a parent, to raise my own children with the entitlement that was common in children in our surroundings in Dallas. As an individual, I did not want to have to constantly check myself so that I too, wouldn’t fall prey to the siren of what’s good for The Jones’ is good for me, in regards to blatant disregard for living within one’s means and using material possessions as a symbol of status. As a partner/girlfriend/lover, or whatever ridiculous name I had to use to describe myself, in relation to the person that should be my wife, I did not want to continue to have to repeatedly explain the relationship to new people I met, who just didn’t get it, and usually clung to its novelty as a talking point for future conversations, reducing us to simply ‘the lesbians on the block.’ And finally, as a normally optimistic, fun-loving person, I simply did not want to be unhappy anymore because I didn’t fit into the stereotypical mold of the region. The bottom line is that we parents are, in most cases, adults that can and should not only make, but also take ownership for, our decisions without trying to appeal to the senses of our audience by using the kids. More importantly, we should not be kidding ourselves that our actions are prompted by the wants and needs of our children. If we’re honest with ourselves, by the mere title of parent, we should be factoring our children into our daily decision-making process, without it having to be a separate line-item. Parents are human beings with needs, wants, hopes, and dreams of our own that are not all specifically tied to our offspring. 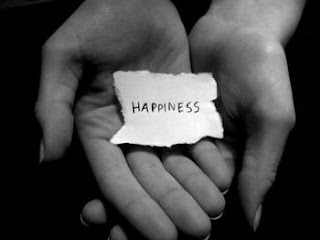 There is no doubt that by feeding our own happiness, we will inevitably be better parents, partners, family members, workers, and friends. Yet why, when we cross the threshold of parenthood, do we no longer take our own joy, for personal gratification’s sake alone, seriously? It’s possible there’s no time to take stock of where our actual lives fall in relation to our pre-parental expectation of our lives, because we’re constantly on kid duty. It’s likely that we’ve lost track of who we really are as individuals in that same full-time mentoring role. It’s also conceivable that we’ve just gotten lazy in our thoughts, similar to our yoga-panted dress code, and decided to coast under the radar and just view ourselves as mothers and fathers instead of multi-faceted people with the desire for fulfillment; we know and use the fact that the title of parent is a stand-alone for worthiness when viewed by society at large. While I functioned under that auto-pilot guise for a few years after the birth of my first child, it quickly grew stale. It took years, though, for me to identify it as such. Fast forward through the rocky years of trying to re-emerge as a creative, opinionated person, that has no fear of, and an eternal want for, change, and I’m back in business. After much trial and error in identifying and prioritizing my wants as an individual and balancing them to those of my family, I’m now at a place where I deem my own well-being as prominent as my family’s, in my decision-making. While I’m not afraid of factoring myself in, I still sometimes err on the side of defaulting to my children’s future when it comes to explaining my decisions to others. Maybe it’s because the ‘others’ I speak of today are much different than the ‘others’ of a few years ago. A longtime serial friend accumulator, I have mostly ditched the vast quantity of casual friends and acquaintances once held and replaced them with long-term, quality friends, of whom I’d never hesitate to call ‘family’. We have finally found and united with a tight-knit co-op of inventive people, who not only subscribe to the “it takes a village” mantra, but also foster their own artistic endeavors. In this true community of neighbors and friends, where we all give and receive of one another without ever second-guessing the relationship, and exist with all of our various talents, traits, and shortcomings, I am truly happy. I wouldn’t give that up for the world. In this scenario, I proudly say I am putting myself first, and the kids at second fiddle, where they should be. I am a parent and that makes me responsible for setting a good example for my children. If I want my children to be happy, I need them to see me cultivating my own happiness, so they can in turn, learn to feed their own. Wonderful. I won't leave this community because I love it - not just for the kids, but for me and Jay. Ultimately, though, it translates to a decision that works for us as a family and the type of community that I want my kids to see does exist for them not only now, but when they are adults.